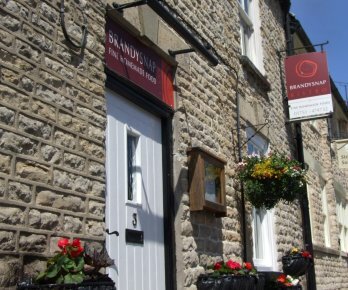 Brandysnap Bistro is located in the "prettiest" village of Thornton-le-Dale, North Yorkshire. We're in the stunning North York Moors National Park, and close by are the seaside towns of Whitby and Scarborough (where most of our fish and seafood come from), the market towns of Pickering and Malton and the historic city of York. We open throughout the year during the evenings only, Wednesday through to Saturday, from 6pm. Can you find the hidden web page? We're Adam and Claire. 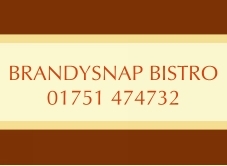 We've worked hard to create a place where you will enjoy some of the most delicious home - made food around, served in comfortable and friendly surroundings. 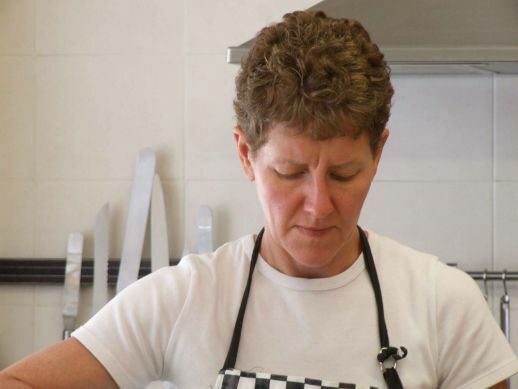 Chef Claire combines the best ingredients, always sourced ethically and as locally as possible, to produce fabulous dishes. We pride ourselves on our warm hospitality and great customer service. 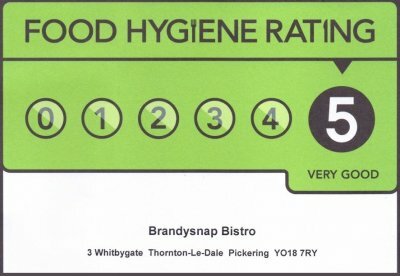 "First class meal and a welcoming atmosphere"
"My lamb was cooked to perfection and melted in the mouth...Value 5/5, Service 5/5"
"Fabulous chef and lovely welcome from the host." "Friday was our fifth visit - worth the 120 mile round trip every time!" "From the 'phone call when booking a table to leaving after some of the most amazing food and wine it never fails to amaze me. We are so fortunate my mum discovered it."